Welcome to our Falls Church restaurant. We offer delicious, healthy cuisine made to order using fresh, high quality ingredients. In other words, our food tastes great, and is great for you. So, we know you're going to love eating it as much as we loved creating it. 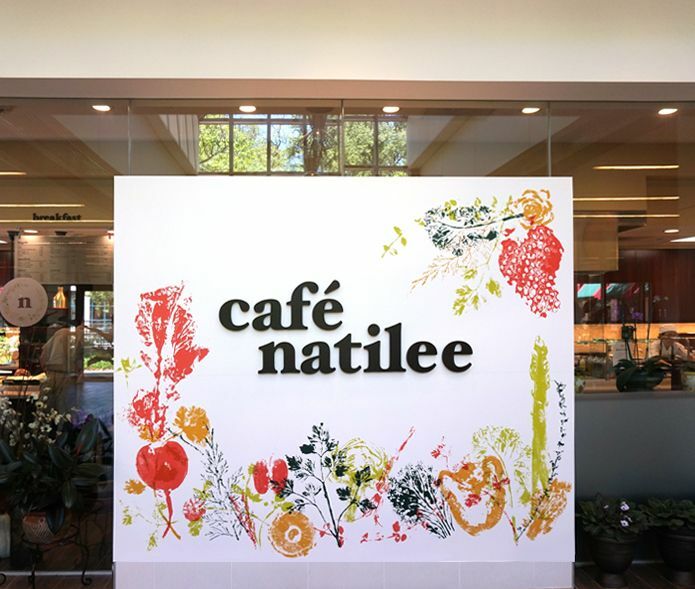 Café Natilee offers delicious, healthy cuisine made to order using fresh, high-quality ingredients. Visit our beautiful setting and enjoy over a dozen delicious green and grain salads, 100% grass-fed beef and bison burgers, house-roasted turkey, chicken, Angus roast beef, delectable seasonal fruit and vegetables, made to order pasta dishes, and so much more! We are nestled in the Hub between the Fairview Park Marriott and the office building, with convenient garage parking. With our diverse menu and great location, you will want to come again and again. We are nestled right next to the Fairview Marriott with convenient free garage parking.